Simone Foley is a qualified teacher with expert knowledge in preparing children for the CSSE 11+ and other entrance exams (King John, New Hall, Brentwood and other independent schools). We have the resources and knowledge to prepare your child for the Maths, Comprehension, Applied Reasoning and Continuous Writing elements of the exam. We provide 11+ tutoring for children in Years 4 & 5, up to the date of their chosen exam(s). A detailed assessment providing details of your child’s current aptitude. Familiarisation with the format and structure of the tests.and time management through past paper practice and other resources. Teaching of the key skills and concepts in English and Maths covered by the exams. Writing tasks that help build skills across different genres. 1-to-1 (£35ph); Paired (£25ph) and Small Group (maximum 4 - £20ph). We work out of tuition centres in Leigh-on-Sea and Southchurch. 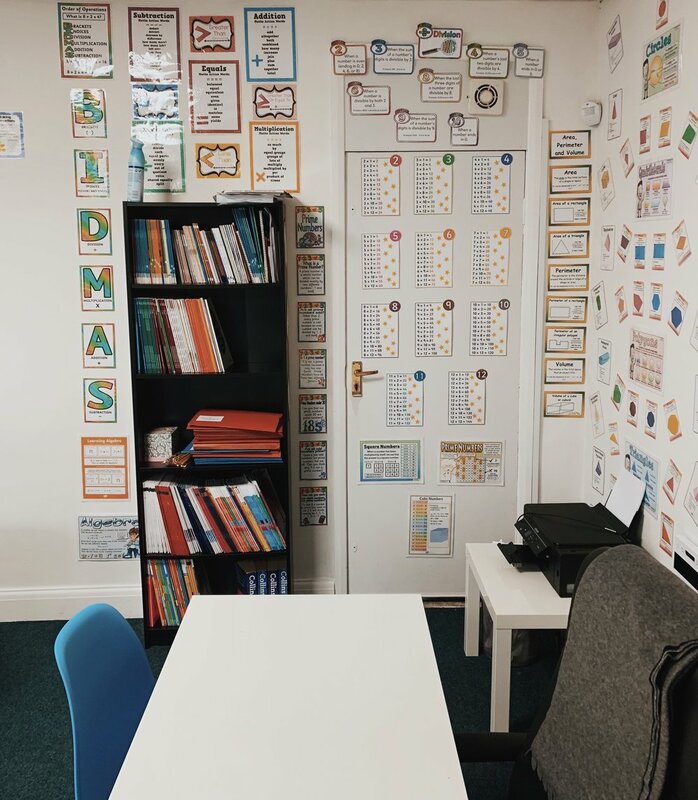 Our bright, engaging classrooms are home to wealth of resources that help provide a nurturing and stimulating learning environment for all pupils. If you are interested in reserving a space for your child, please contact us via the enquiry form below. Spaces do fill up quickly and we do run a waiting list for those children who wish to start at a later date. Please select the tuition Programmes you would be interested in. Thank you for your enquiry. We will contact you shortly to discuss further.